Quantock Veterinary Hospital, based in Bridgwater, Somerset, is an independent veterinary practice providing a comprehensive range of general practice veterinary services to our clients and patients, supporting pet health through every stage of life. Established in 1985, the founding principle of Quantock Veterinary Hospital was to be a progressive veterinary practice providing the highest standards of general practice service and care not only to our patients but also to our clients. As well as providing the latest veterinary services, facilities and equipment for the care of our patients, we understand that our clients need as much help and support through the ups and downs of owning much loved pets as their pets themselves and importantly, that care for our patients is a partnership between us and our clients. Today, still as an independent non-corporate Veterinary Practice, we live by these founding principles. Quantock Veterinary Hospital is a RCVS (Royal College of Veterinary Surgeons) accredited Small Animal Hospital, the highest accredited standard awarded to veterinary practices, achieved by only 7% of accredited veterinary practice in the UK. The RCVS is the regulatory body for the veterinary profession in the UK. Our Practice is regularly inspected and audited to maintain our Hospital status. 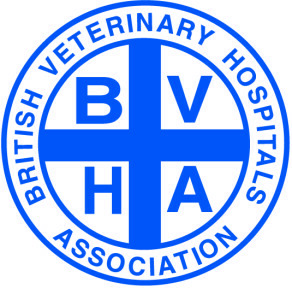 Quantock Veterinary Hospital is a member of the British Veterinary Hospitals Association. As a Veterinary Hospital our clients can be reassured that their pets are cared for by a Practice working to the highest standards, in the best facilities, with the best equipment. Quantock Veterinary Hospital is an International Cat Care (ICC) Gold Standard Cat Friendly Clinic. This is the highest standard awarded by ICC, an internationally respected charity dedicated to the care and welfare of cats, and reflects our ‘cat friendly’ veterinary services, facilities and equipment. Quantock Veterinary Hospital is an approved Veterinary Nurse Training Practice, with degree and diploma veterinary nurses being trained and assessed in all aspects of veterinary nursing by our strong team of Registered Veterinary Nurses, many of whom have specialist qualifications in different fields of veterinary nursing. 24 hour on-site veterinary staff caring for hospitalised patients and providing emergency services. 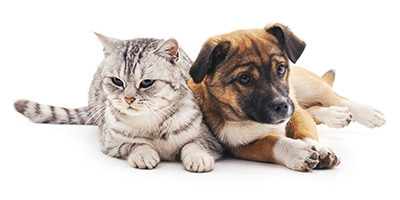 Comprehensive high quality veterinary services from puppy, kitten and rabbit clinics, vaccinations, preventative health care advice and products, through to advanced diagnostics, medical and surgical treatment, hospitalisation and intensive care. The highest Hospital standard of veterinary facilities. The highest Hospital standard of the latest and most advanced veterinary diagnostic and treatment equipment. Care and treatment tailored to the different needs of our various species of small animal patient. As an ‘enabled’ practice we have free parking facilities including reserved spaces for people with mobility issues. The practice is on ground level so wheel chair access is available. We offer a hearing loop system for the hard of hearing. Regular and continuous professional training for all our staff, ensuring they are up-to-date in all aspects of their fields. With a staff of over 25 we are able to deliver all the veterinary and client services we offer to our high standards. With many of our veterinary surgeons and veterinary nurses having achieved, or currently studying for, post-graduate qualifications we can ensure that our patients benefit from the latest veterinary clinical knowledge and skills. Careful staff selection and training has developed a highly skilled, compassionate and friendly team that embraces our founding principles and genuinely cares for our patients and clients. With the Small Animal Veterinary Hospital in Bridgwater and a Branch Veterinary Practice in Nether Stowey, we offer our full range of general practice veterinary services to the Somerset region. Easy access from the M5 and the surrounding area and extensive free parking facilities including reserved spaces for people with mobility issues and wheel chair access, helps make a visit to the Hospital and Branch Practice a convenient and stress free experience for our clients. Quantock Veterinary Hospital, based in Bridgwater, Somerset, is an independent veterinary practice providing a comprehensive range of general practice veterinary services to our clients and patients, supporting pet health through every stage of life. 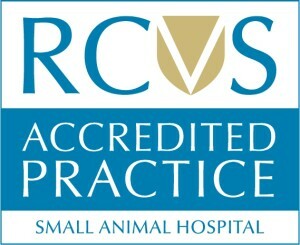 an RCVS (Royal College of Veterinary Surgeons) accredited Small Animal Hospital, the highest accredited standard awarded to veterinary practices. a member of the British Veterinary Hospitals Association working to the highest standards, in the best facilities, with the latest equipment. 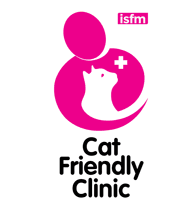 an International Cat Care (ICC) Gold Standard Cat Friendly Clinic, the highest standard awarded by ICC, an internationally respected charity. an approved Veterinary Nurse Training Practice. care and treatment tailored to the different needs of the various species of small animal patient. Easy access from the M5 and the surrounding area and extensive free parking help make a visit to our Bridgwater based Hospital and Branch Practice in Nether Stowey a convenient and stress free experience.